One of my most popular posts on this blog was about using student silhouettes and memoir writing in Tagxedo.com. 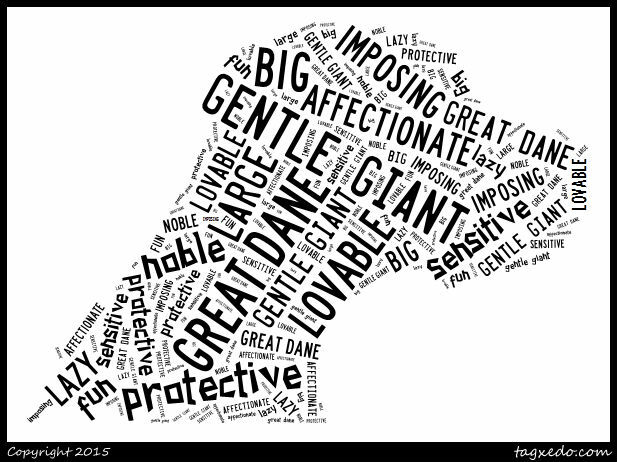 Many teachers have asked me if there is an easy way to create student silhouettes or general silhouettes for Tagxedo. The answer is yes and I will show you how! 1. Download the FREE editing program at http://www.getpaint.net/index.html. This is the easiest software I have ever used to make images transparent (to remove backgrounds). 2. 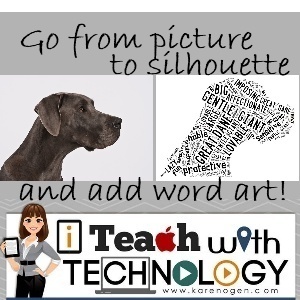 Take a picture of your student, pet, or object in front of a blank wall or area. Try not to have shadows behind the person or object. 3. Open the Paint.net program (downloaded in Step 1) and open your image. 4. Choose the Magic Wand tool and click in the blank (wall) section of your image that you wish to delete. It should turn blue. If it is all selected (such in my picture below), press delete on your keyboard. Sometimes, not enough or too much of your picture will be selected by the Magic Wand tool. When this happens, you can change the Tolerance levels to select more (a greater %) or less (a lower %) of the area you are selecting. If you have selected too much or little, click edit and undo then change the tolerance and start again. You can also delete some of the background and then come back withe Magic Wand to delete other areas until you have removed all parts. (This is especially helpful if you have shadows or items that need to be removed.) If you have too much background, you can also crop it out with the cropping tool. 5. Save your image with the background removed. You want to save this image as a .jpg file. 6. Now open Tagxedo.com (works best in Firefox or IE browsers). 7. You will import your newly created silhouette by clicking on Shape and then Add Image. Browse to where you have saved your image and import it. Accept the settings that come up unless you want a reverse image. 8. 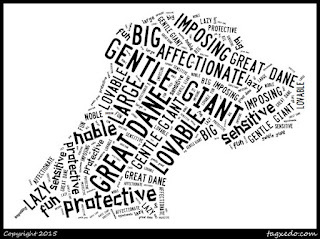 Add your own words (click on Load), change the colors, layout, and theme to create your own word cloud image that is personally themed with your own silhouette.